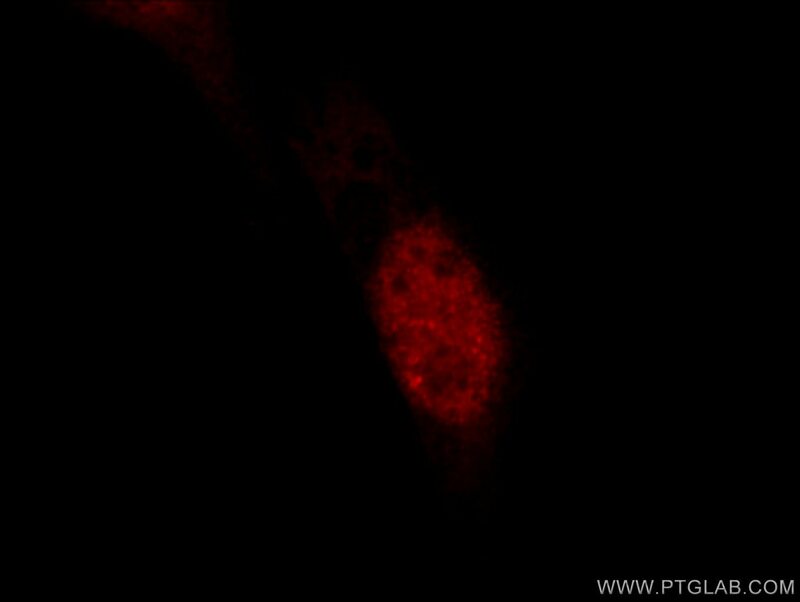 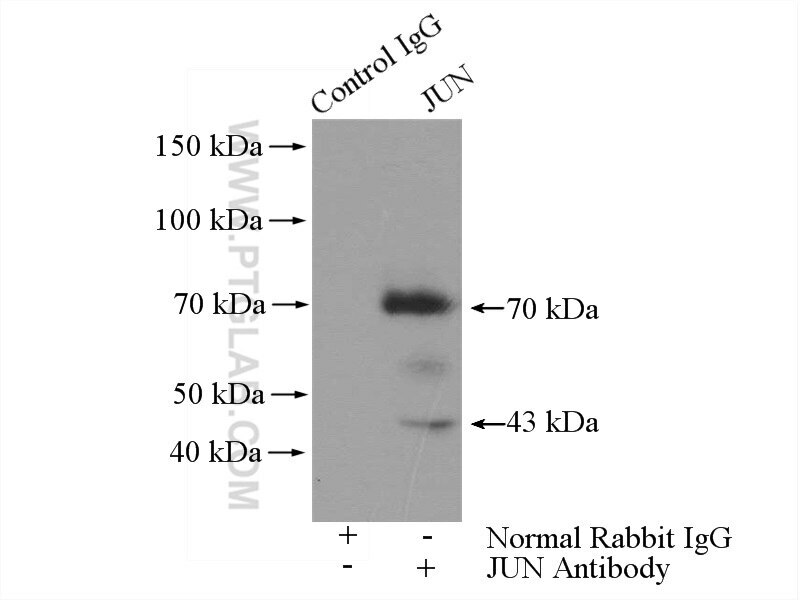 IP Result of anti-JUN (IP:24909-1-AP, 4ug; Detection:24909-1-AP 1:1000) with HeLa cells lysate 2400ug. 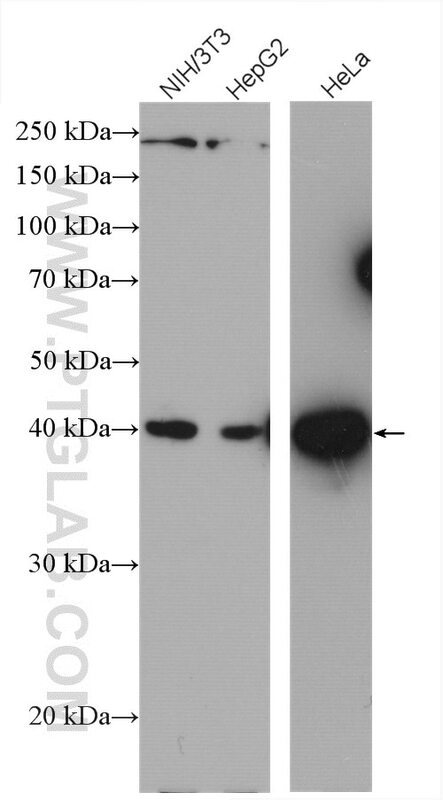 Histone deacetylase 2 (HDAC2) attenuates lipopolysaccharide (LPS)-induced inflammation by regulating PAI-1 expression. 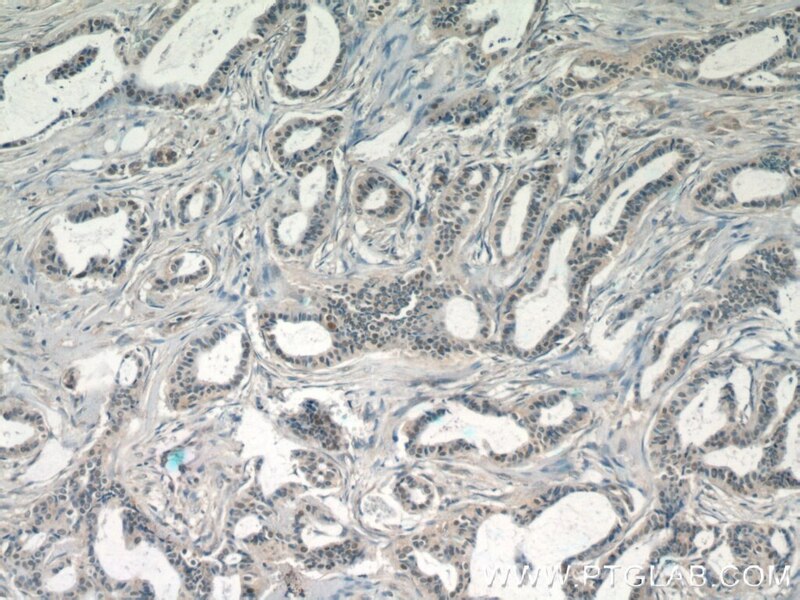 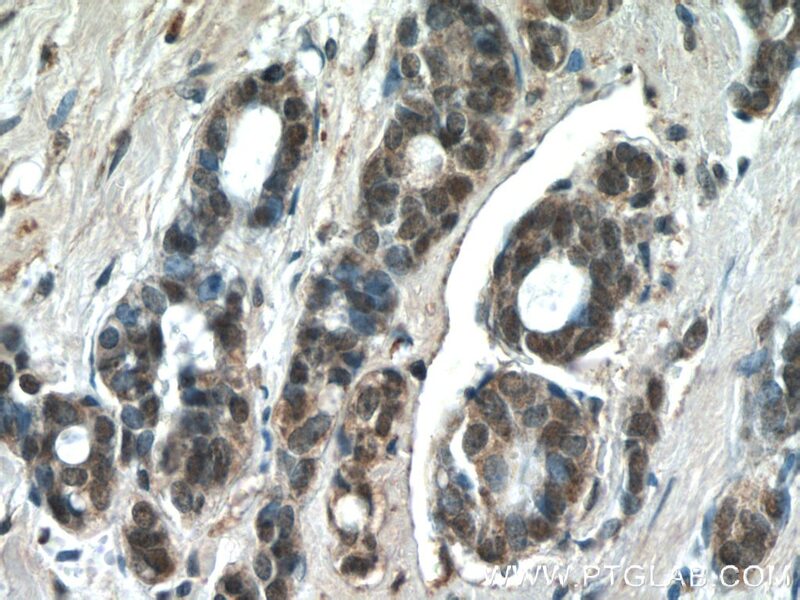 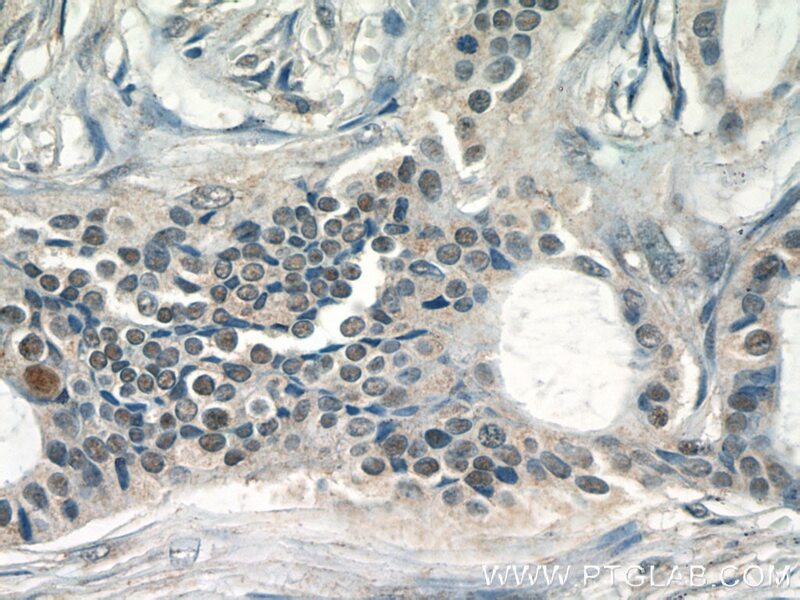 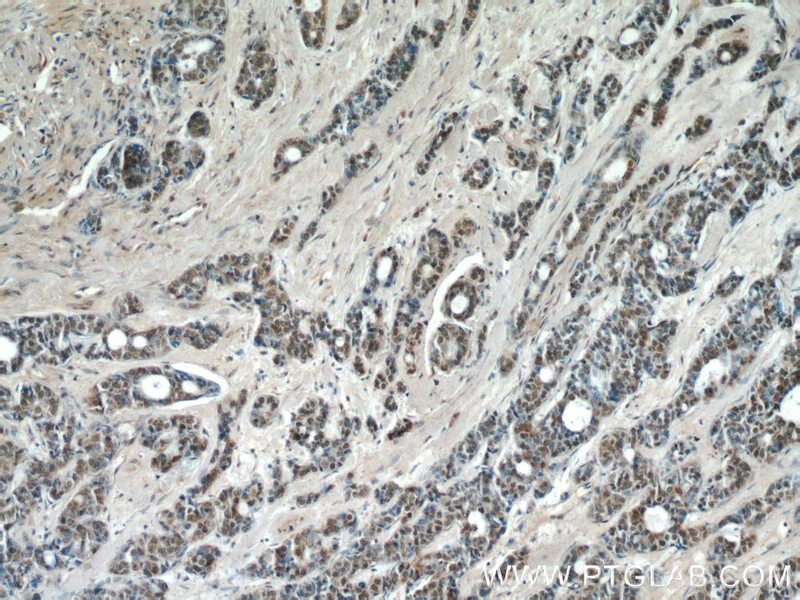 Expression of activator protein-1 in papillary thyroid carcinoma and its clinical significance.